Trying to figure out if that light on your dashboard should have you worried or not? We’ve got you covered. With our helpful Honda dashboard light guides, drivers from the Baldwin Park, Glendora, and Azusa area will be able to learn about the lights appearing in their vehicle. Check out the list provided on this page and find the dashboard light guide for your Honda model. First, find the light guide for your specific Honda model from the list provided and click the link to view the guide. Each guide will begin with a brief overview of basic information about the lights in your Honda vehicle. Then you’ll find a list of dashboard lights. Each dashboard light that’s listed will be followed by a short description of the light, so you can be sure that you’ve found the right one. Then you’ll find useful information about what the light may be indicating and whether it requires immediate servicing. While you’re viewing the dashboard light guide for your vehicle, it’s important to keep a few things in mind. First, it’s normal for the lights to turn on briefly as a routine test following engine startup. It’s only if a light remains on or comes on while driving that it’s indicating a problem. The second thing to consider is the color of the light. The light color isn’t random and could help you to determine the meaning. Red and yellow lights are typically used to signal a warning or malfunction. Meanwhile, blue or green lights are usually used to signal vehicle information and system status. For example, the turn signal light (green) blinks to indicate that the turn signal is engaged. 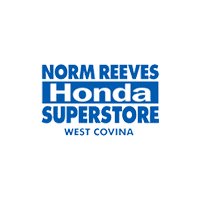 At the Norm Reeves Honda Superstore in West Covina, we’re constantly adding new models to our dashboard light guide library. However, in the event that you don’t see the particular light guide you need, you can still get help by contacting our service department. With years of experience helping drivers in the Baldwin Park, Pasadena, and Pomona area, our skilled automotive experts can help you figure out what light is illuminated and what it means. Schedule your service conveniently online today!